Every now and then it is prudent by our personal standards to provide insight into what is governing debate around various systemic issues and challenges faced by borrowers to the banks. If you are a borrower for commercial purposes (agribusiness or commercial), then this is an education piece that needs to be read. Heavy in content, YES, informative, YES, thought provoking, YES and actionable, YES. This topic is also a rabbit warren, so for the sake of simplicity we have narrowed it down to a recent inquiry summoned by the Minister of Small Business to seek an evaluation of the current issues at hand. 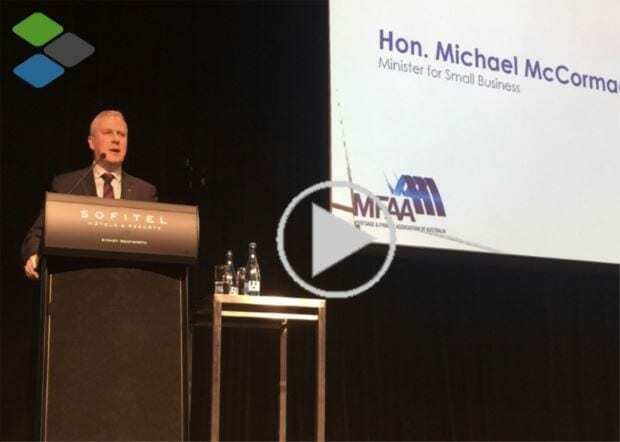 In support of the Hon Michael McCormack, the video below is a clear demonstration of his commitment to assisting the small business sector as he addresses the finance community at an event recently held in Sydney by the MFAA. 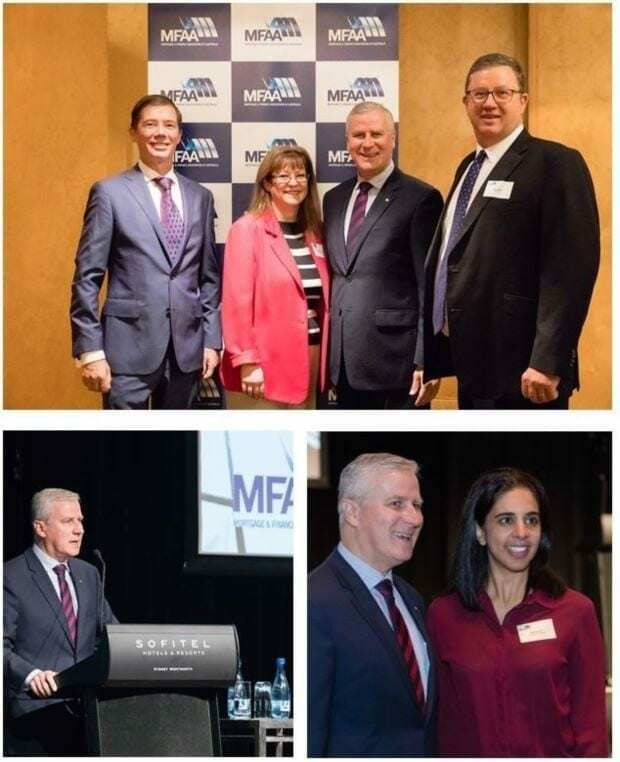 Ian Robinson, in conjunction with our peak body chairman and CEO (Cynthia Grisbrook and Mike Felton: Mortgage and Finance Association of Australia), have worked closely with the Minister in communicating the benefits of professional credit advisors in alleviating some of the issues and challenges raised by the borrowing community. We invite real constructive feed-back. If any of these key points strike a nerve with your own personal commercial borrowings (or that of a colleagues), please let us know. 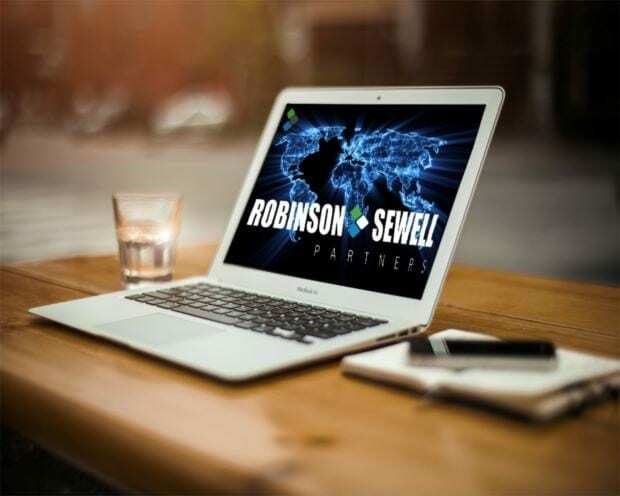 We can share with you real finance solutions to the task at hand. Addressed to The Hon Michael McCormack MP, Minister for Small Business. significant gaps in access to justice with nowhere to go except the court system, with borrowers having limited resources and banks having overwhelming resources. The research analytics into the Inquiry for Impaired Customer Loans were quite surprising, but material enough to cause action. About a third of these cases were simply poor business decisions where the bank appears to have acted reasonably, a third a mixture of poor business decisions and poor bank practice and a third with very real issues where bank conduct is unacceptable and possibly unconscionable. The Parliamentary Joint Committee (PJC) identified a persistent pattern of abuse of the almost complete asymmetry of power in the relationship between lenders and borrowers and considered four factors that made small business borrowers vulnerable and enabled banks to exploit this vulnerability. 4. there are significant gaps in the coverage of mediation and external dispute resolution schemes leaving borrowers without the means to have their disputes with banks tested. The daily transactions of small business are far more complex than are the daily transactions of consumers. The size of the financial commitments of small business often significantly exceeds those of consumers. Small business owners may have less time to seek assistance with legal issues or problems than consumers. invoke financial covenants or catch-all ‘material adverse change’ clauses. To ensure banks do not have unilateral power to invoke loan default. To rebalance risk distribution between borrowers and banks—currently, loan conditions transfer most risks to borrowers, protecting banks. To simplify contract construct, especially for small business loans. Banks claim that more than 98 per cent of lending to small business customers is under $5 million. There are 14 other main recommendations. A minimum 30-business day notice period to all changes to general restriction clauses and covenants (except for fraud and criminal actions) be added to give borrowers more time to respond and react to a potential breach of conditions. For loans below $5 million, banks must provide borrowers with decisions on roll over at least 90 business days before loans mature, so borrowers can organise alternative financing. A longer period of time should be given for rural properties and complex businesses that would take longer to sell or refinance. For loans below $5 million, banks must provide a one-page summary of the clauses and covenants that may trigger default or other detrimental outcomes for borrowers. For loans below $5 million, banks must put in place a new small business standard form contract that is short and in plain English. The revised Code of Banking Practice 2017 be approved and administered by the Australian Securities and Investment Commission under Regulatory Guide 183. The Code must be written in plain English and include a dedicated section on small business clarifying how breaches will be enforced. The Australian Bankers’ Association’s six-point plan must be strengthened by publishing individual bank implementation plans, including key milestones and deliverables. Outcomes against these plans must be published. All banks must provide borrowers with a choice of valuer, a full copy of the instructions given to the valuer and a full copy of the valuation report. Every borrower must receive an identical copy of the instructions given to the investigating accountant (for the purpose of insolvency) by the bank and the final report provided by the investigating accountant to the bank. Banks must implement procedures to reduce the perceived conflict of interest of investigating accountants subsequently appointed as receivers. This can be achieved through a competitive process to source potential receivers and by instigating a policy of not appointing a receiver who has been the investigating accountant to the business. The banking industry must fund an external dispute resolution one-stop-shop with a dedicated small business unit that has appropriate expertise to resolve disputes relating to a credit facility limit of up to $5 million. Banks must establish a customer advocate to consider small business complaints and disputes that may or may not have been subject to internal dispute resolution. External dispute resolution schemes must be expanded to include disputes with third parties that have been appointed by the bank, such as valuers, investigative accountants and receivers, and to borrowers who have previously undertaken farm debt mediation. A nationally consistent approach to farm debt mediation must be introduced. Australian Securities and Investments Commission must establish a Small Business Commissioner. Click the DOWNLOAD button at the bottom of the page for a “deep dive” into the 85 page analysis (Small Business Loans Inquiry: Full Report). It seems that there have been multiple reviews over the course of history, with the same recommendations being highlighted and rolled into the latest inquiry. Banks have had ample time to conclude and execute but the governing market structure has allowed for side slipping and non-commitment. Perhaps government intervention is required. The risk to the banks if this philosophy is adopted is that policy could be set that is more disadvantage to the banks than if they had manoeuvred themselves. Noting though, some banks have recently adopted partial solutions to the issue at hand as a complimentary gesture to the market that they are indeed listening. Thank you for taking the time to read through this report. With a broadened mindset into the banking landscape, a more informed strategy can be actioned to mitigate the shortcomings a borrower may face when securing finance.